In 1975 Keith Relf, the singer and former colleague of mine in the Yardbirds, called me up for a 'get-together' with his sister Jane, and Louis Cennamo. We had all been in Renaissance a few years earlier and were still getting royalty payments. Since the Renaissance days, Keith had been successful as a producer and had been in a band with Louis, Armageddon, who had made an album for A&M Records. I had made an album of my own songs on EMI under the band name Shoot, and Jane had sung on various TV advertisements. The remaining member of Renaissance, John Hawken, the keyboard player, was invited to join us and we spoke about reforming the old band as none of us were involved with any other projects at the time, and the fact that we were still getting royalties meant the music was still popular. John was a versatile pianist, having played with more rocky bands such as Spooky Tooth and Vinegar Joe, and he was responsible for the dominance of the keyboards in the band's sound. We organised some rehearsals at my house in Molesey and things seemed to go well. Having played together before, it didn't take long to recreate our old distinctive sound. We decided to give it a go again, and after recording some demo tapes tried to get record company interest. We were still seeking this when Keith was tragically electrocuted in his flat in Whitton in May 1976. Rather than making us abandon the idea, this event seemed to spur us on, and we decided to take on two more people: John Knightsbridge on guitar, and Eddie McNeil on drums, which left me free to sing lead vocal along with Jane. More songs came quickly and in July we recorded half a dozen more demos, including "Isadora" and "Solo Flight". Someone had once told me to take demo tapes to companies for whom you were earning money, so I contacted Island Records who were still selling the original Renaissance recordings. After a live audition we were promptly signed up, and recorded the album "Out Of The Mist" at Island Studios in Hammersmith. We needed a new name at that time as Renaissance had been transformed into a band of new members (Annie Haslam, Mick Dunford, etc.) 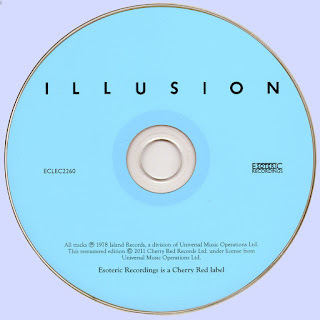 We finally settled on Illusion, the title of our second Renaissance album, and went off on tour supporting Bryan Ferry in the UK and Europe. We were received well, though sales were only moderate. After another nationwide tour, supporting Dory Previn, we were pressed by the record company to start another album which was to 'break' us as a band. The first album had charted in the States, and it was generally thought that the production could be improved upon, so for the second album Paul Samwell-Smith, another former Yardbird, was brought in as producer. Paul was highly thought of by Island as he had produced a succession of Cat Stevens albums and of course the first Renaissance album. 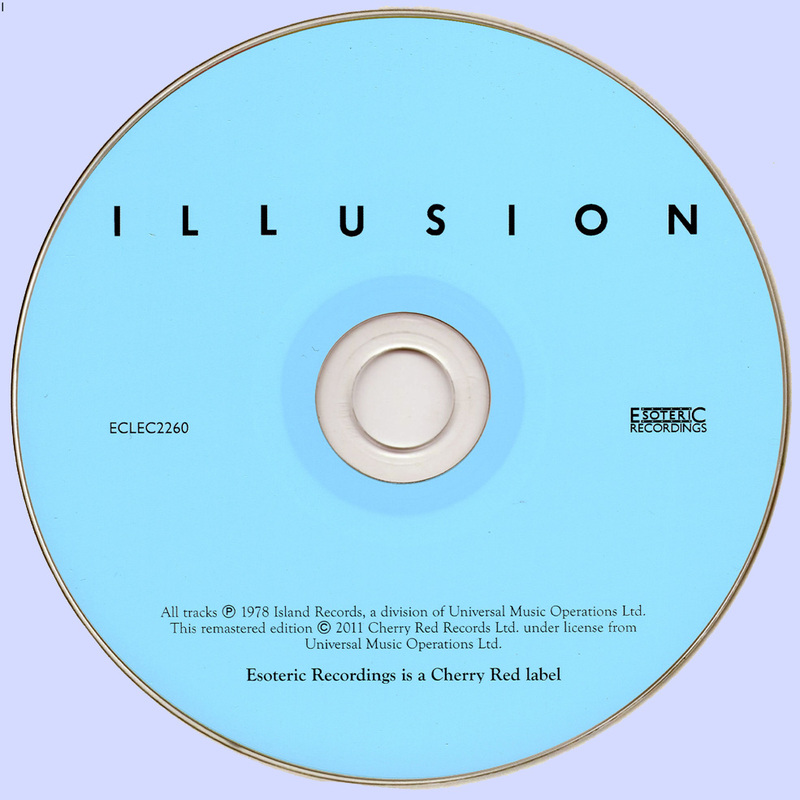 The consequent album ("Illusion") was fun to make, collaborating with Paul again, but due to the pressure of time and touring the material was not as strong as on the first album, in my opinion, although it did contain the classic track "Madonna Blue" which brought out the very best of everyone in the band. The album was released in the UK and Europe, but not in the States, for some unknown reason, and this was a big blow to us. The new wave of punk music was becoming more and more popular, and the overall trend at the time (the late 70's) was far away from what we were doing. Our only hope had lain in the States, but after the non-release of the second album we were dropped by Island in 1979. On Illusion the band had grown music wise. Also the help of old pal Paul Samwell-Smith, who had played with Jim McCarty in the Yardbirds, provided for a better production and a better sound. Highlights on their second release are the opening tune Madonna Blue and the final piece The Revolutionary. Especially on these tracks you hear the same kind of music Renaissance would record later on with vocalist Annie Haslam and keyboard player John Tout. The interaction between Jane Relf and Jim McCarty and the harmony vocals are much better than on Out Of The Mist. The music on both albums very much resembles the music of the first two Renaissance-albums mainly due to the fact that the key members of both Illusion and Renaissance were the same. That also applied for the compositions mainly written by McCarty and Hawken. Unfortunately both releases lack some additional tracks. Maybe they could have used some of the recorded demos for the upcoming third album, but they didn't. These songs later on appeared on the album Enchanted Caress (1990). Illusion disbanded in 1979. Punk rock and new wave regrettably pushed aside many great progressive bands at the end of the seventies. 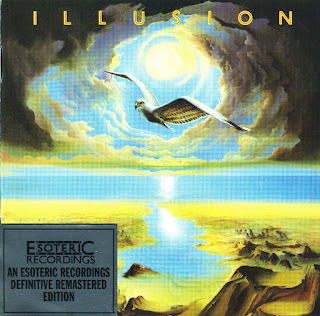 Who knows how many more fantastic albums Illusion would have recorded..? Thanks, I always welcome an Esoteric edition!